Finding the right online Quran classes institute to teach your kids seems easy. Simply hit google and you will get a long list of Quran learning websites. Now the toughest part starts. Finding the best website for Quran learning needs a careful review. Ask your self these 12 questions while reviewing a website and inshallah you will find the best Quran learning website. Are you aiming to learn Tajweed? Tajweed is important to ensure you know how to pronounce Arabic letters properly. If you are aiming to get your kid to learn Quran with tajweed then check out whether the online quran classes for kids has mentioned this on their website. Here are some Tajwed basics. Want Online Quran classes for kids at your selected time? Life is busy and planning to attend a class at a particular time can be difficult. Check out whether the online quran service gives the option to teach at a time of your choice. 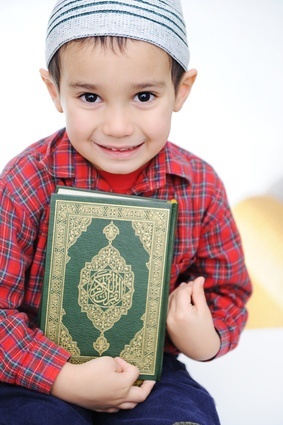 Choose an online Quran class which offer online Quran classes for kids at your convenient time. Are you looking for female Quran teachers? If you are looking to teach your female kids who are bigger in age then look for an online Quran classes for kids which offer female teachers. This will improve the learning environment as there will be no issues in talking with the teacher in general. Also there will be no hijab related concerns. Find a online class which offers both male and female Quran teachers. Are there any Discount Options? We all love discounts. Find a online Quran class which can give multiple discounts like group, pay in advance, referral and testimonial discounts. You can hence use the saved money else where. Are the best Quran learning classes expensive? – Age based discounts e.g. 50% off for elders etc. – Was the teacher on time? – Did the teacher greeted your kid? – Did the teacher sounded friendly? – How was teacher’s Quran recitation/qirat? – Did the teacher started with the basics? – Did the teacher stopped teaching during Azan? – Did your kid understood the teacher’s instructions? – Did the teacher revised the lesson a number of times? – Did the teacher taught other basics like Kalma, Prayer & Supplications? The final litmus test of the online Quran classes for kids is to see how confident the school is regarding their education. Check if they are offering 30 days Money Back Guarantee. If they are then this shows the command and control they have. Even if you are not happy with their teaching service, you have nothing to loose and you can request for your money back. Do you want your kids to listen to top quality Qari’s? It is important that your kids listed to good Quran recitations on regular basis as you also learn by listening to recitations. The institute must have a free library of online Quran audios. Do you want your kids to read Quran online? Look for website who provide online Quran reading. This means both with and without translation in your native language. Would be nice if the website also offers tafseer. Do you want your kids to do research on Quran? Research doesn’t need years of study. The website should provides ways of searching Quran based on Ayat, Juz, Page and text. This creates curiosity among the kids and they tend to explore different sections of the Quran. Ensure you have a sample of 10 online Quran classes websites to start with. If you fail to find the right one, pull the next 10 and so on. Ideally you should find the best website in 20-30 websites you find. Finding the right website could be as difficult as finding the next best school for your kid but don’t loose hope!. Last but not the least, do pray to Allah and Inshallah you will find the best online Quran classes for kids soon! « Online Quran Classes for Kids – How it Works!